GALION — Last Saturday, November 18, six area high school bowling teams took to Victory Lanes in Galion for the Victory Lanes Warmup Tournament. 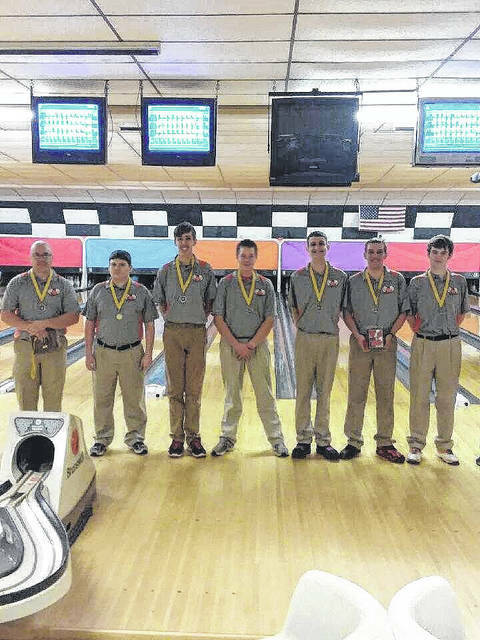 On the boys side of the event, it was the Galion Tigers bowling squad earning the championship with a total score of 3,382. The Tigers used games of 919, 824 and 1,039, as well as a baker game score of 600 to hold off the runner-up from Highland (3,047). Rounding out the boys field were: 3. Cardington- 2,465; 4. Crestline- 2,411; 5. Shelby- 2,214 and 6. Northmor- 1,649. Austin Rinehart of Galion was the high series bowler on the day for the tournament, rolling a score of 680. Ethan Clum of Crestline finished with a 549 and Sarah Dudley rolled a 360 for the Northmor Golden Knights. The Cardington Lady Pirates took the title on the girls side of the tournament, bowling a 721, 648 and a 671, combined with a baker game total of 448 to defeat the second place Northmor team; 2,488-2,467. Rounding out the girls scores were: 3. Highland- 2,381; 4. Crestline- 2,191; 5. Shelby- 1,835 and 6. Galion- 1,742. Layne Wilson of Cardington was the high series bowler, notching a series score of 535. Madison Huber rolled a 492 for the Crestline Lady Bulldogs, Chloe Meier finished with a 463 for the Lady Knights of Northmor and Marissa Snyder of Galion chimed in with a 527. Galion will host Ridgedale on Tuesday, Nov. 21 and Crestline on Wednesday, Nov. 22 before traveling to River Valley (Blue Fusion) on Monday, Nov. 27. After dualing with Galion on the 22nd, the Crestline Bulldogs will host East Knox at Victory Lanes on Friday, December 1. As for the Knights bowling squads, they will host Gilead Christian at Victory Lanes on Monday, Nov. 27. Galion’s Austin Rinehart was the individual high series bowler at the 2017 Victory Lanes Warmup Tournament on Saturday, November 18. Rinehart finished the tourney with a 680 overall series. 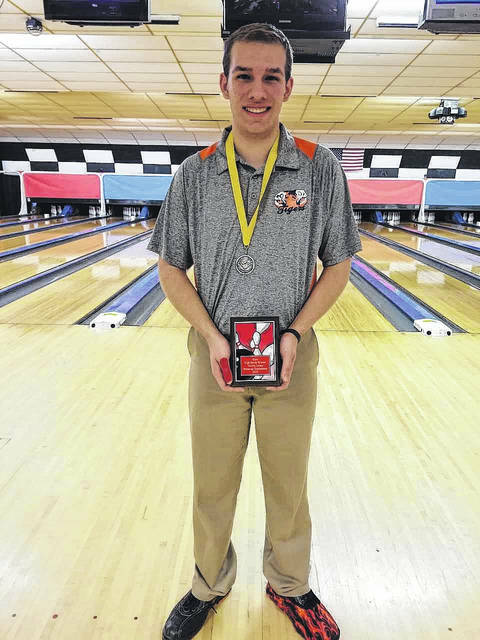 https://www.galioninquirer.com/wp-content/uploads/sites/38/2017/11/web1_2017-VLWT-Champ-Austin-Rinehart.jpgGalion’s Austin Rinehart was the individual high series bowler at the 2017 Victory Lanes Warmup Tournament on Saturday, November 18. Rinehart finished the tourney with a 680 overall series.